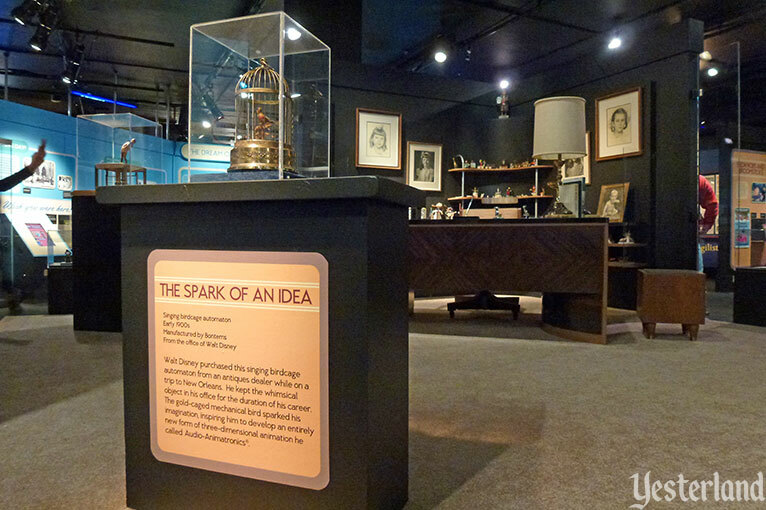 “Treasures of the Walt Disney Archives” is the headline special exhibit at the Museum of Science and Industry, Chicago, from October 16, 2013 to May 4, 2014 August 3, 2014 January 4, 2015 [run has been extended several times]. I finally visited the exhibit a few days ago. If you live in Northeastern Illinois or will be in Chicago before the exhibit closes, you really should go. If not, please visit the exhibit with me in this photo essay. , Curator of Yesterland, March 7, 2014. The Chicago World’s Fair of 1893, which was called the World’s Columbian Exposition, commemorated the 400th anniversary of the first voyage of Christopher Columbus to the New World—but somehow missed it by a year. It was nicknamed the “White City” because of its white stucco buildings which, at night, were bathed in the glow of that recent innovation, mass-produced electric light bulbs. Walt Disney’s father Elias Disney worked on the fair’s construction. Unfortunately, history has forgotten what Elias worked on. It would be really amazing if he had worked on the fair’s Fine Arts Building. Unlike the fair’s other structures, it was built to be permanent. 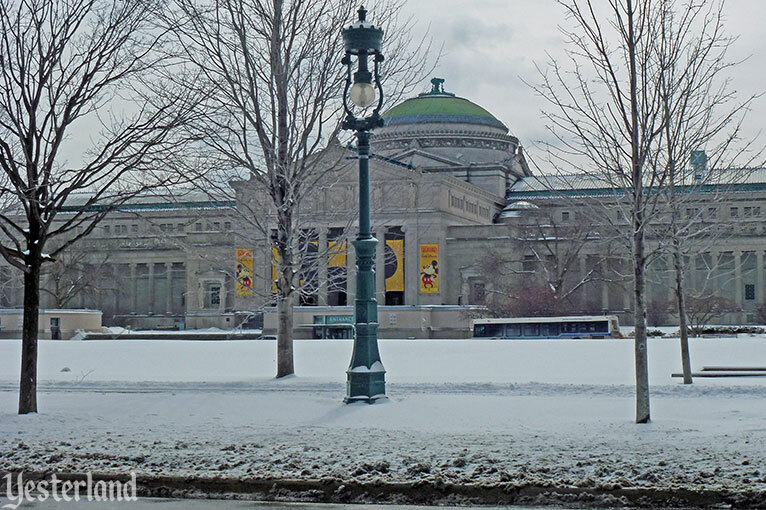 After first serving as the Columbian Museum, predecessor of Chicago’s Field Museum of Natural History, it became the Museum of Science and Industry in 1933. 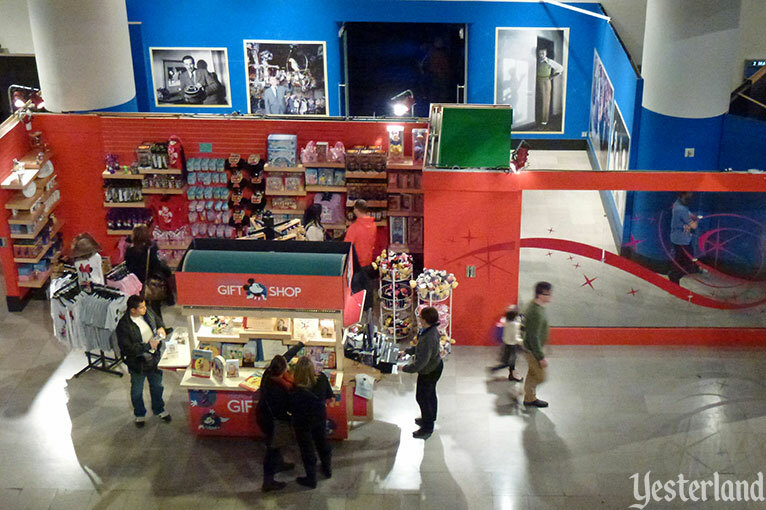 It’s the largest science museum in the Western Hemisphere and arguably the best family attraction of Chicago. To use the most overused word of the 21st century, awesome, the captured German World War II U-505 submarine exhibit is nothing short of awesome. 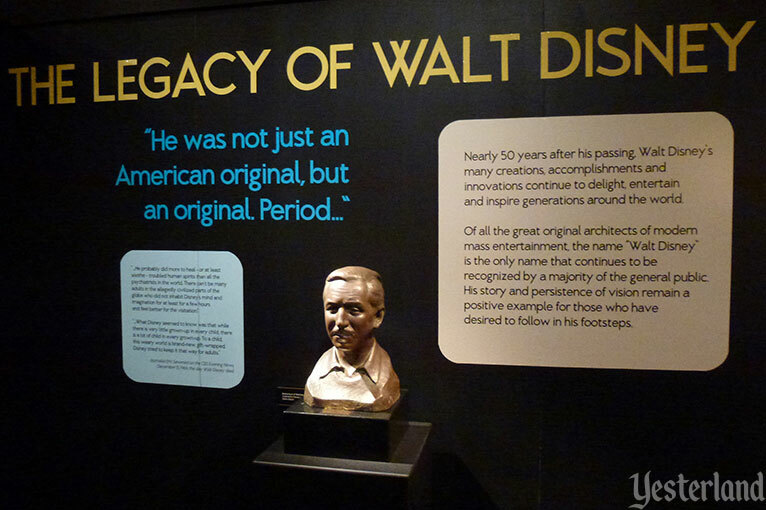 And now, for a limited time, Walt Disney has moved in at the museum. The outside of the museum still looks as if it’s 1893, although it’s now clad in limestone, not white stucco. The inside is another story. The huge underground entrance lobby, which houses the ticket counters and museum store, is a sleek 1998 addition. 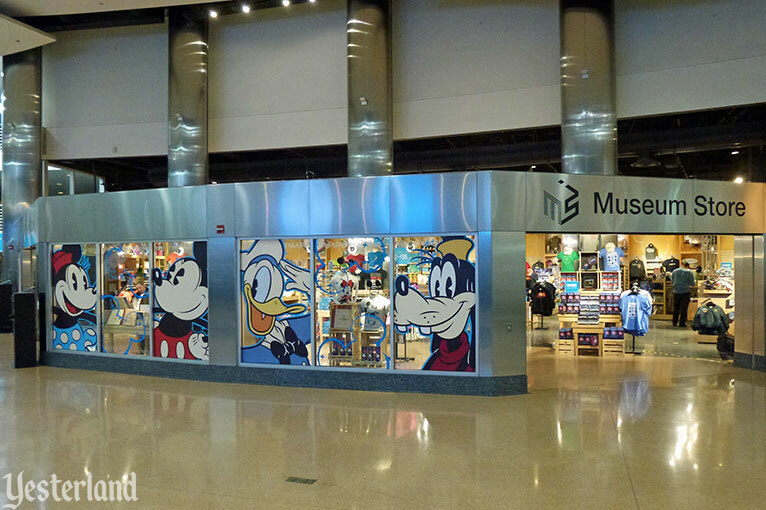 Disney characters on the store windows, a large Mickey Mouse clock, video displays promoting the exhibit, and banners by the escalators make sure that all arriving guests know there’s something special going on. 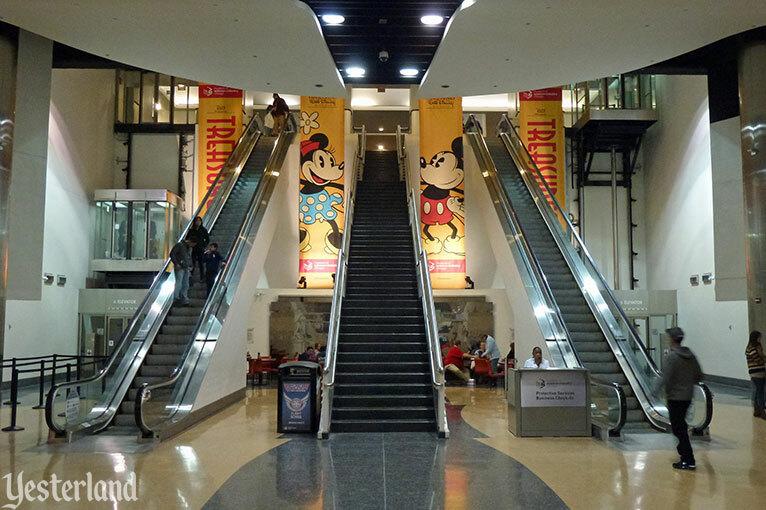 Escalators lead up to the main museum building which has a 1930s Streamline Moderne interior befitting the period of its conversion. 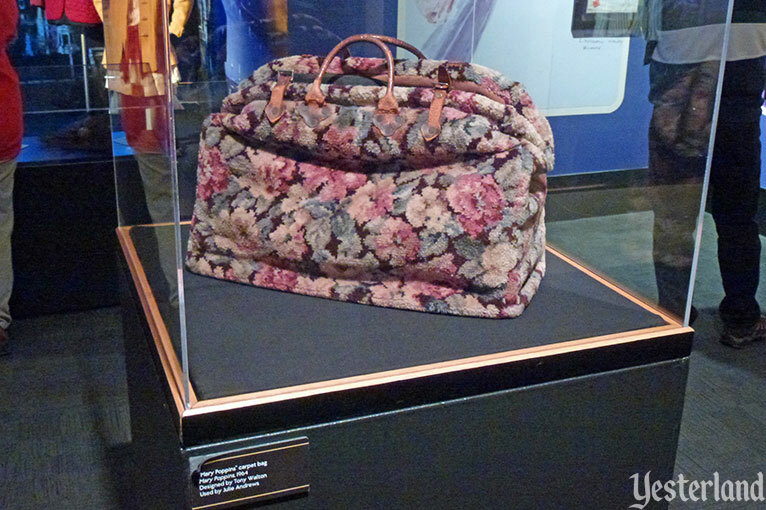 The “Treasures of the Walt Disney Archives” exhibit is located off the transportation gallery. A retired Boeing 727 jet, painted in retired United Airlines colors, hangs from the ceiling. Just beyond the exhibit, the museum’s wonderful model railroad, “The Great Train Story,” has 20 to 30 trains running on 1,400 feet of track on a layout that includes “shrink and edit” versions of Chicago, Seattle, and the Rocky Mountains. We’ve arrived at the exhibit entrance. It’s time to hand over a timed ticket. 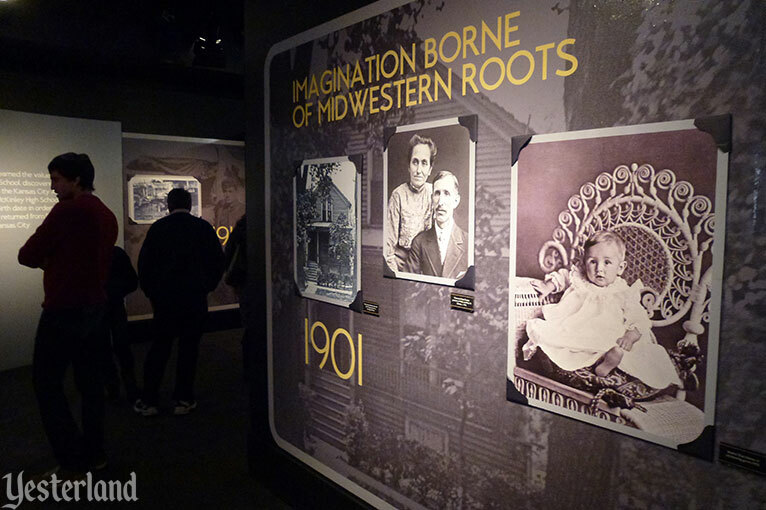 After having your picture snapped against a green screen, you enter a holding area with historical photos, a video presentation, and then a series of exhibit galleries which tell a chronological story. 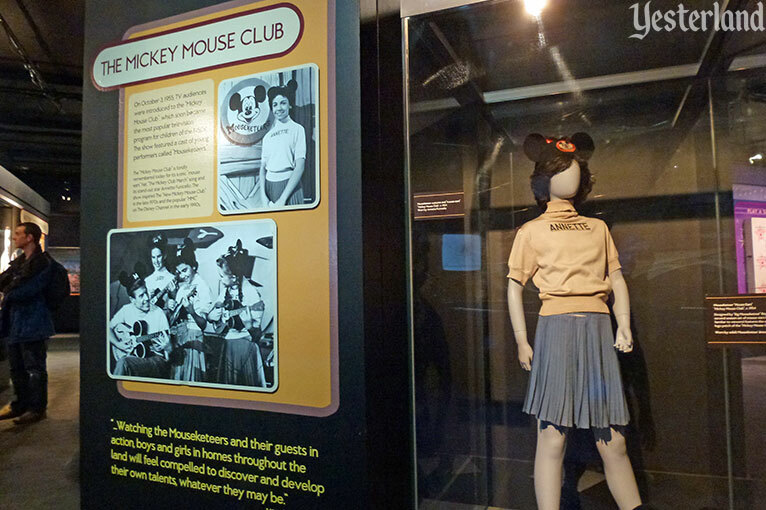 I did not expect the artifacts to be woven into a chronological story beginning with the birth of Walt Disney and continuing to the present, with an emphasis on Walt Disney’s professional life. 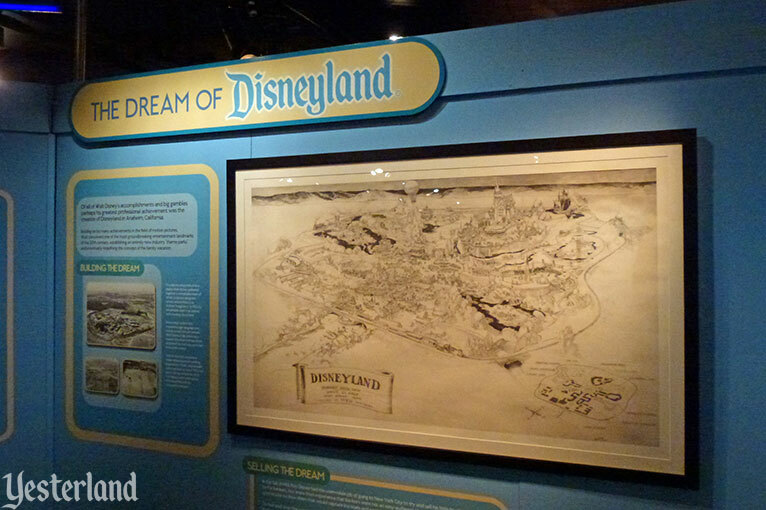 In some ways, it resembles Walt Disney: One Man’s Dream at Disney’s Hollywood Studios theme park or a condensed version of the Walt Disney Family Museum in San Francisco. Artifacts tend to be much more interesting when presented in a meaningful context, so I was delighted. 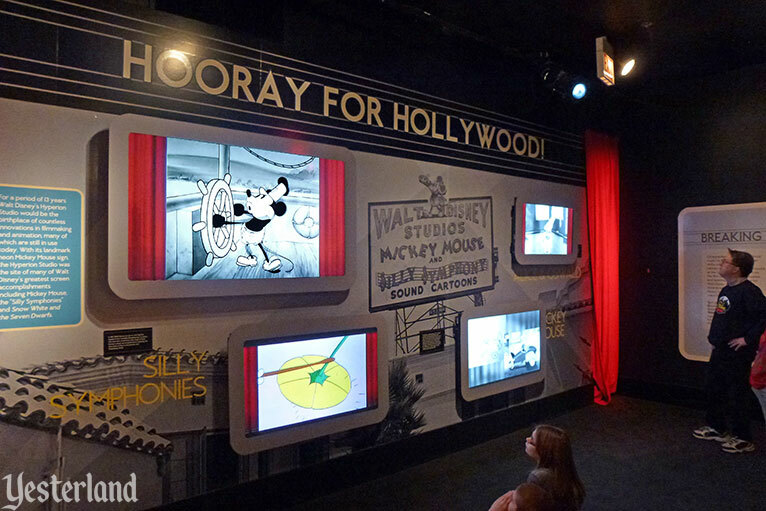 Clips from several of Walt Disney’s earliest animated works, before there was a Mickey Mouse. The original script, typed by Walt Disney, for the 1928 cartoon short Steamboat Willie, which introduced movie theater audiences to Mickey Mouse for the very first time. Having just done a Yesterland article about the pencil drawing that Herb Ryman created on a weekend based on descriptions from Walt Disney, I especially enjoyed the large, crisp print of this early vision of Disneyland. 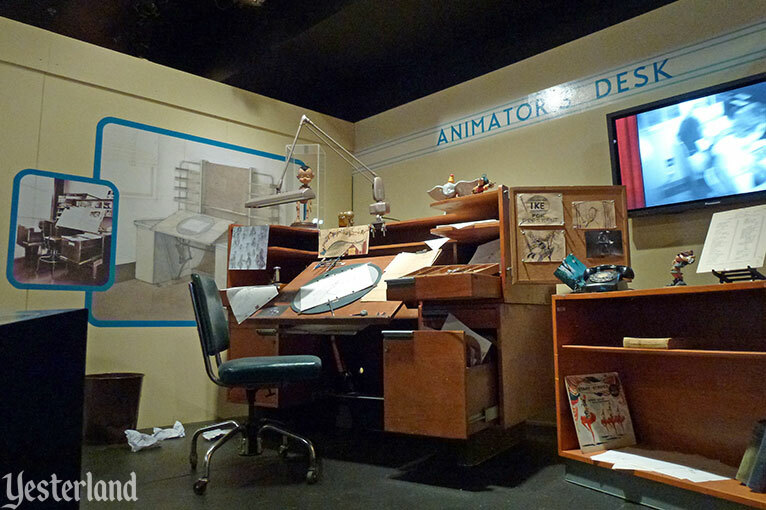 My wife and I spent about an hour and 45 minutes in the exhibit; we skipped the Animation Academy. 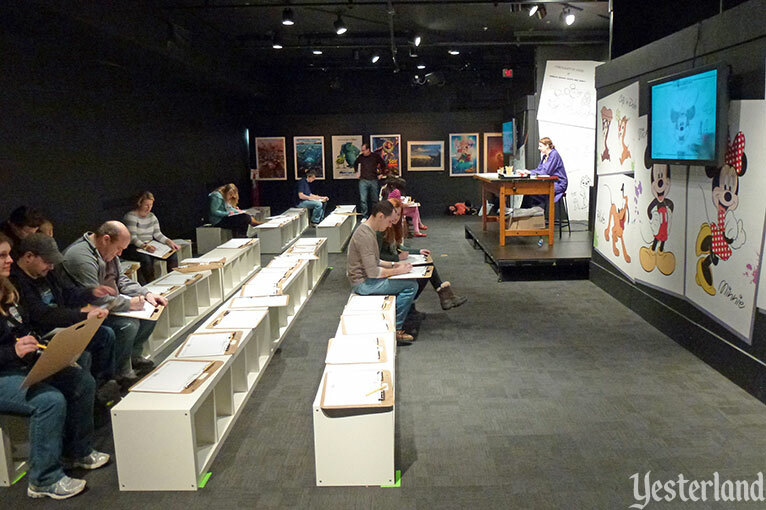 A guest who watches every video until it begins to repeat, examines every artifact thoroughly, and participates in the Animation Academy activity could spend far more time. A guest who only wants to take in the highlights should still allow an hour. 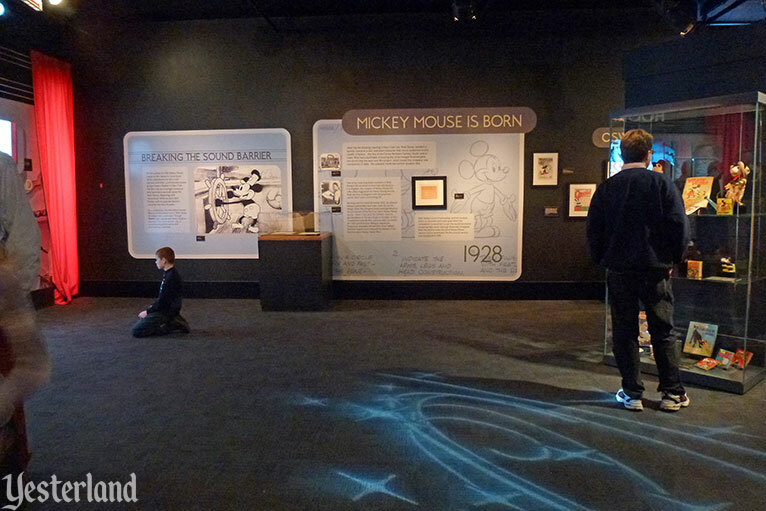 As a Disney fan and someone interested in history, I thought it was a terrific exhibit. 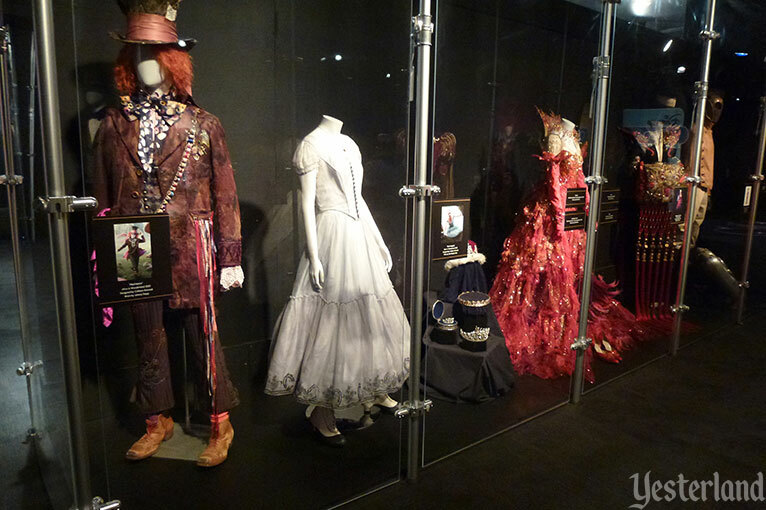 Although the story was familiar to me, I saw many of the artifacts for the first time. 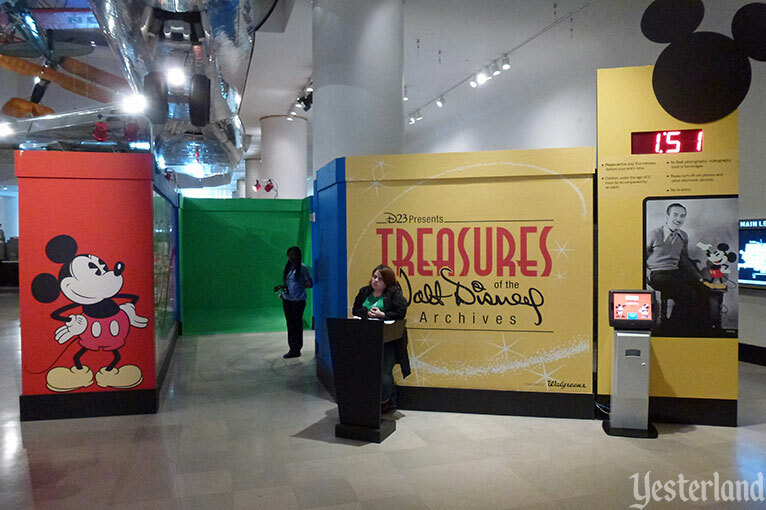 If you can’t make it to Chicago by May 4, 2014, maybe “Treasures of the Walt Disney Archives” will come to a museum near you. Keep your eyes open. 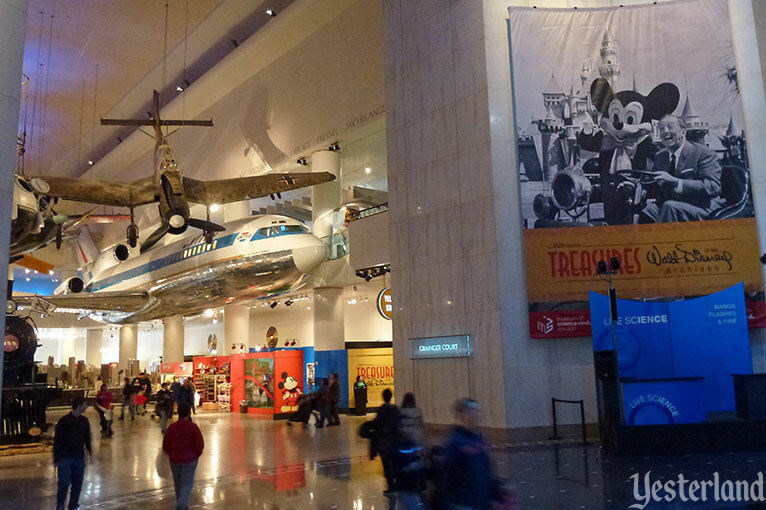 Regardless of when you get to Chicago, be sure to visit the Museum of Science and Industry. 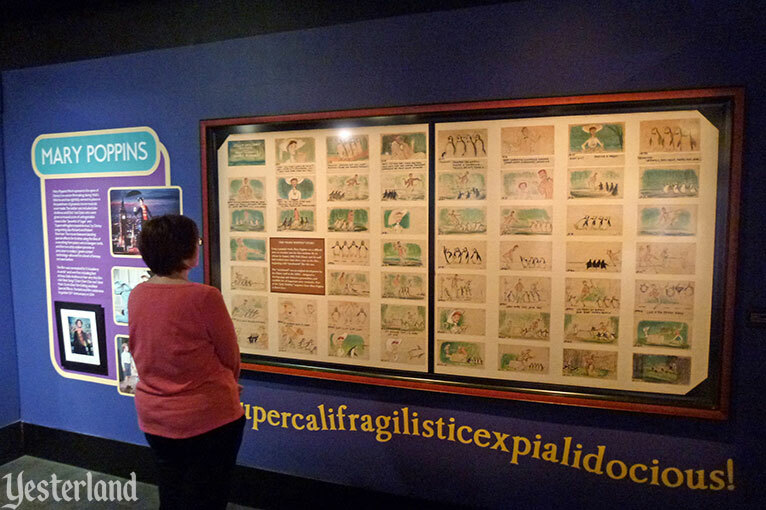 Want to know more about the museum? 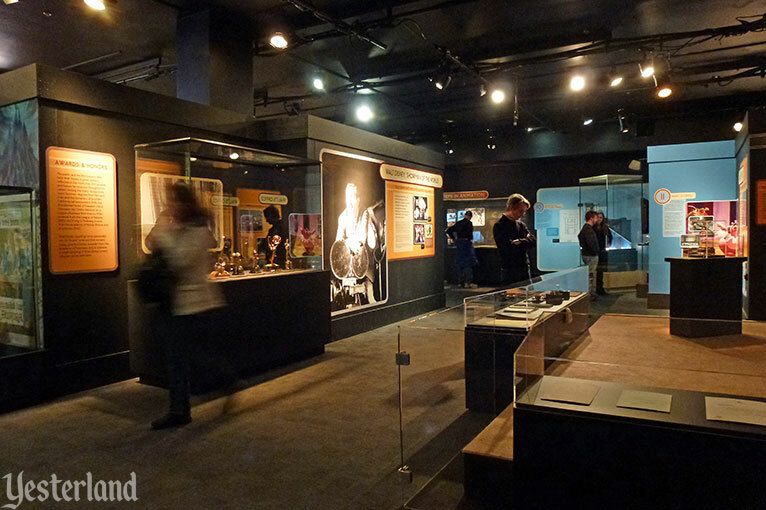 Go to Museum of Science and Industry, Chicago (opens new tab or window). I’ve been to all these attractions multiple times. I would strongly recommend the Museum Of Science and Industry over the John Hancock Observatory. The Hancock, like Skydeck Chicago, involves seeing Chicago from the top of a very tall building. I would recommend the Art Institute Of Chicago over the Adler Planetarium—unless world renowned art museums bore you or you’re traveling with children who love planetariums but would make you miserable at an art museum. Be sure to read what is and isn’t included with Chicago CityPASS. 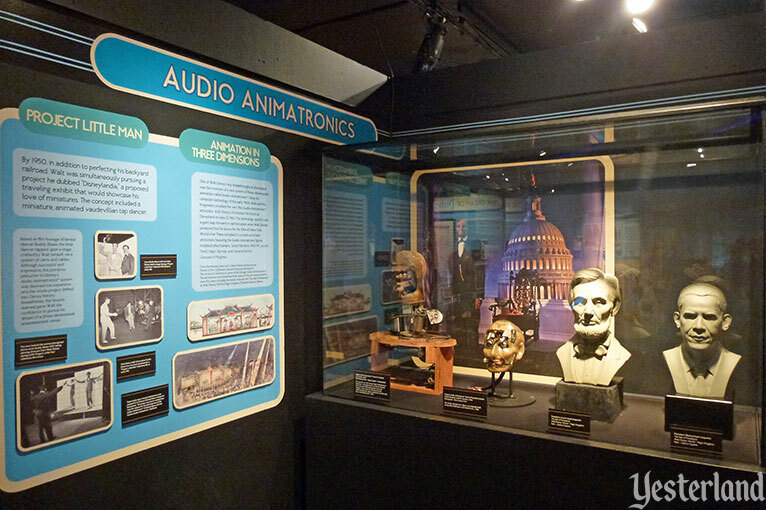 For example, at the Museum of Science and Industry, “Treasures of the Walt Disney Archives” requires an additional charge.